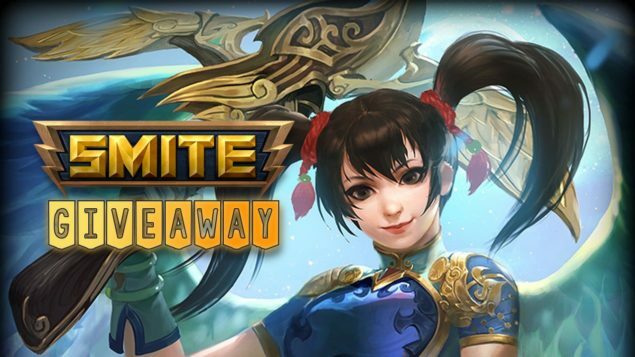 The pantheon of SMITE, one of the most popular MOBA (Multiplayer Online Battle Arena) games, just got bigger with a new goddess from Chinese mythology. We’ve partnered with Hi-Rez Studios for a Jing Wei giveaway, with 4K codes that will unlock the goddess on your SMITE account; please note that this codes will only work for the PC version of the game. As usual, all you need to do to get your code is follow our Twitter account below if you haven’t already, and then enter your email address. Then redeem via the in-game store of SMITE. Against the red rising sun, a winged form sweeps out to sea, claw clutched around a pebble. With focused grit, she hurls the small stone into the watery maw, circling above as it sinks into darkness. Resolved, she turns back to collect another. Jing Wei will not cease until the ocean is filled. That is her oath. And she will not break an oath. Once, she was a young girl, a princess, enamored by the glory of the morning light. She gazed in wonder as her father, Yan Di, the Flame Emperor, shepherded the sun from the eastern sea. Desperately, she longed to reach the place where it emerged, but her father refused take her on the waters. One night, the princess sailed out alone, secretly hoping for a clear view come the dawn. But the waters were churning in a storm. Mountainous waves crashed into her tiny ship. The sea swallowed her whole. Yan Di woke and coaxed the sun from the horizon, only to find the shattered remains of his daughter’s boat upon the shore. Yet, even as he grieved, a bright goddess burst from the ocean and soared overhead. “Jingwei!” she cried, and Yan Di knew his daughter was reborn. Though given a second chance that day, Jing Wei swore an oath against the seas that took her life. She would fill them with stone until they were gone. An impossible task. But Jing Wei swore an oath. And Jing Wei will not break an oath.